I came to Northwestern as a freshman in fall of 2015. 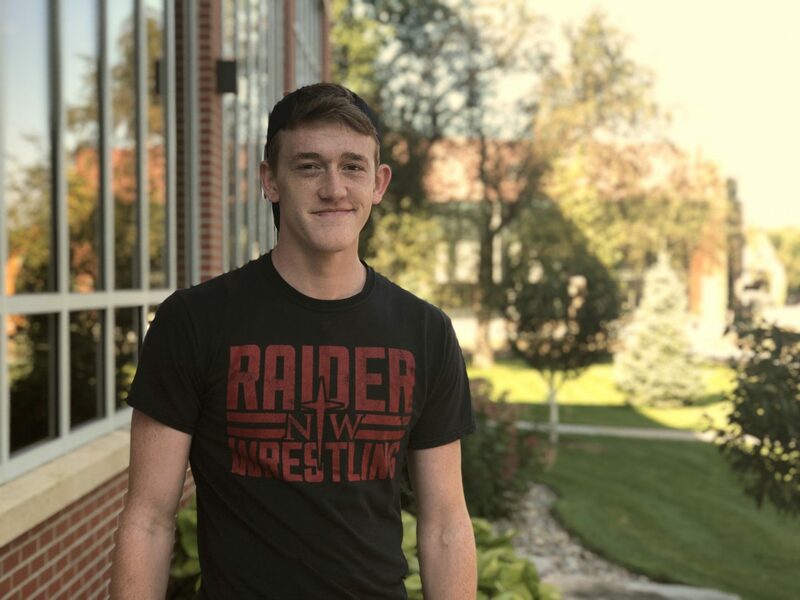 I had chosen Northwestern because it was the only college that worked with me so that I could pursue a theatre major, while also participating on the NWC wrestling team. But as soon as school began I immediately fell behind. I missed classes, practices, assignments… you name it. Because of this, my grades began to slip. This didn’t change when the spring semester began. By the end of the school year, I couldn’t wait to leave. I felt like my heart wasn’t in it anymore, not to mention that I had a lot of personal things going on in my life that caused me to become depressed. Over the course of that summer, I was dreading returning to what I viewed as the ‘hell’ waiting for me. Because I felt like I was not prepared for the stress of school again, because of a wrestling injury, and because of being on both academic as well as a chapel probation, just a few weeks before the start of fall 2016 I decided to not return to Northwestern College. Instead, I decided to stay home where I worked and went to class part time at a nearby community college. I felt lost. I felt like I had taken a wrong turn somewhere, like I turned down the wrong path in life and needed to back-track and get myself back on track. But with hindsight being 20/20, now looking back I realize that the path I chose was exactly where I needed to be, I just had some twists and turns obscuring my view and perception. That same fall, the fall of 2016, our nation’s last presidential election took place. I happen to be taking a political science class, and so I started paying more attention. Needless to say, the election was so crazy, confusion, question-inspiring, and frankly just sometimes hard to keep up with. I was also taking a history class, and it clicked in my head how much I enjoyed learning history, especially U.S. History. I started getting more motivated to learn, to study the topics, to keep up with the current events. And the funny thing is, I had only chosen to take these classes because I needed general education courses and they fit the bill. But now, I find myself genuinely enjoying learning about these topics! Beyond the learning, I also started praying more – I found myself talking to God often and asking him where he is leading me and what he aspires me to do in life. By this time, the injury I had suffered from wrestling at NWC had been fully healed, and I started feeling the drive to compete again. It was in that moment of realizing this, that it clicked in my head what God was doing in my learning, my prayer life, my body, and my future. I immediately texted my wrestling coach, Richard Dahl, and I had a plan set up to return here to Northwestern College in fall of 2017. Fast-forward to today, I am off academic probation and currently working on a double major in history and secondary education with a minor in political science. My grades are improved, I am competing again in both in track and wrestling, and it’s amazing to see God’s purposes for my life becoming more clear. I felt like I had lost my footing in the world. The path I was walking felt too beaten and winding to feel like it was mine. But now, reflecting on the past two years of my life reminds me of the story of the man who walked in the sand with Jesus. When the man looked back at the times that were hard for him, he only saw one set of prints in the sand, he turned to Jesus and asked “Why did you leave me in my times of despair? And Jesus replied, “I never left you, it was in those times of difficulty that I carried you.” I can look back now and see how God aided the steps and guided me through the times of despair even when it felt like he wasn’t present. He guided me back to Northwestern and I am so happy to be back; but this time, I’m fueled with a sense of purpose and belonging as I know whose walks with me.